Mosquitoes are small, fly like blood-sucking, irritating bugs. You, at one point of your life, surely would have thought why do they need your blood, if their bite only causes irritation with a red bump? 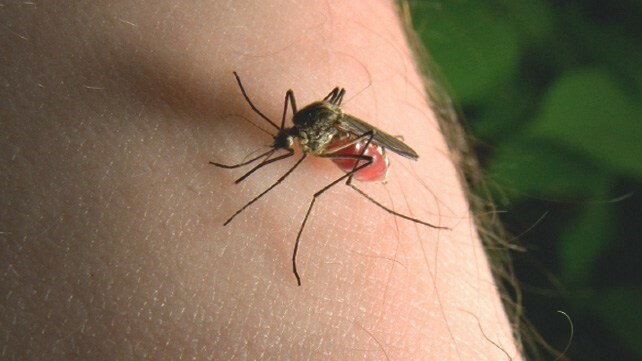 Or are there any other dangers, how you can prevent their bites and many things related to mosquito bites? In this article, we’ll tell you what you should know about mosquito bites. If you want more information, visit the nearest Urgent care clinic around you and get proper details about different mosquito bites. Like any other animal, there are male and female mosquitoes. Only female mosquitoes bite humans or any other hot-blooded animals for blood. Mosquitoes need sugar in order to stay alive which they get from plants or fruit nectar. Female mosquitoes need protein for their egg development, which comes from blood. They are not actually biting you as the female mosquitoes inject a straw-like part of their mouth, proboscis, into your skin and get to your blood. Some people are more likely to be bitten by mosquitoes than others. It is because of the fact that mosquitoes are attracted to different chemicals such as lactic acid and carbon dioxide which are produced by our body. Studies have shown that mosquitoes are more attracted to blood type O than blood type A and B. High metabolic rate and production of carbon dioxide are also causing unwanted attraction. Mosquitoes seek cool, wet and shaded areas such as tall grass, weed, and bushes. They avoid sunlight because it kills them by dehydration. Mosquitoes usually lay eggs in still water such as ponds or even inside your home in some vase or pot where water remains standing for long time periods. Visit any Urgent care clinic around you and get informed about places that give rise to the growing mosquito society. Normally a mosquito bite is nothing more than a red bump that causes itching and irritation. Female mosquitoes can drink blood equal to three times her weight so it targets as many hosts as it can. When a mosquito bites a host infected with a virus, it may transfer that to anyone it targets next, let it be humans or pets. The mosquito-borne diseases may get fatal if not timely treated. It is better not to take a chance and avoid mosquito bites by taking precautionary measures. Don’t let water stay at your place and dump any still water near your home. Use screens on windows to keep mosquitoes out of your home or workplace. Stay indoors during dusk and dawn. Use light color clothing that covers your body well, especially outdoors. Lower you resting metabolic rate and lower your consumption of beer. Apply natural mosquito repellents such as oil of lemon eucalyptus. The easiest way to ease the irritation and lower the bump is to heat a spoon and apply to the bite. Then apply some baking soda paste or calamine lotion. One thing you should not do is to scratch the affected area. If the redness or the bump doesn’t go away in one to two days and starts growing to an extent that a large area gets red or swollen, see the doctor right away.